The NEMA TS2 standard was established by the National Electrical Manufacturers Association (NEMA) to define safe traffic control equipment. Section 2 contains the environmental and testing requirements, including guidelines for temperature (-34° to 74°C), humidity, vibration and shock. 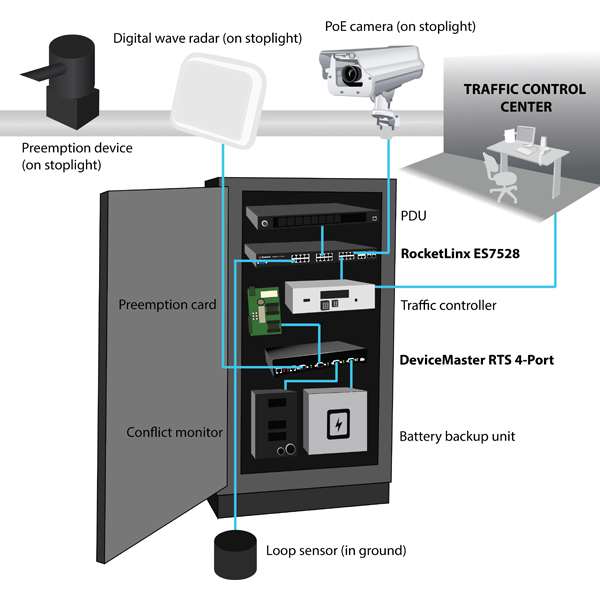 Independent lab testing verified Comtrol’s DeviceMaster serial device servers’ and RocketLinx industrial Ethernet switches’ performance when subjected to the extreme temperatures, operating voltage and humidity fluctuation, vibration and shock commonly experienced in severe outdoor environments. 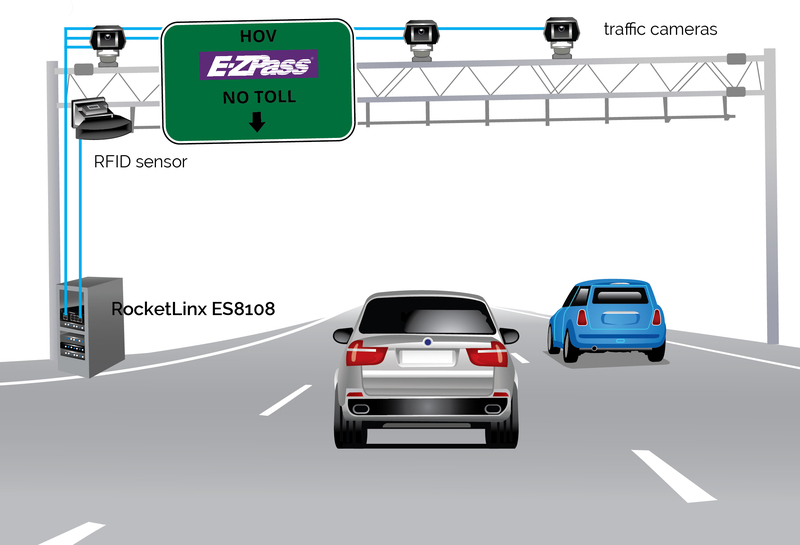 These field-hardened device servers provide connectivity for a broad range of traffic and transportation applications currently used by more than 300 traffic and transportation agencies nationwide. 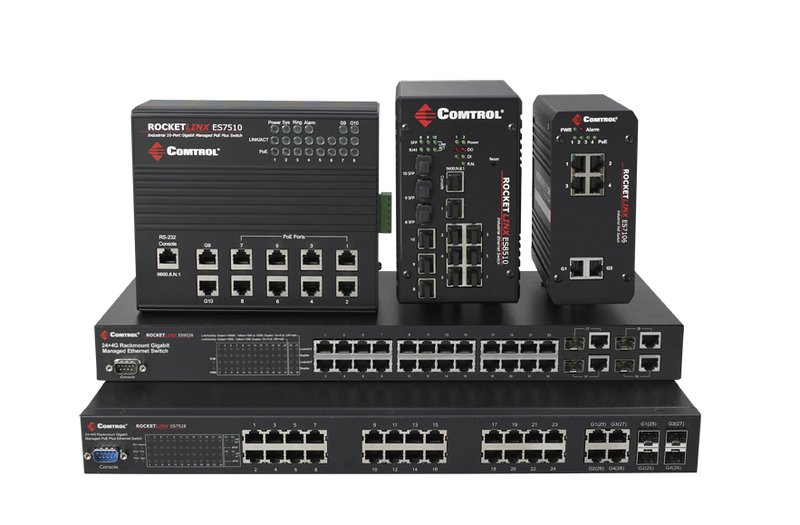 Select models of Comtrol’s RocketLinx industrial Ethernet switches are also NEMA TS2 certified. 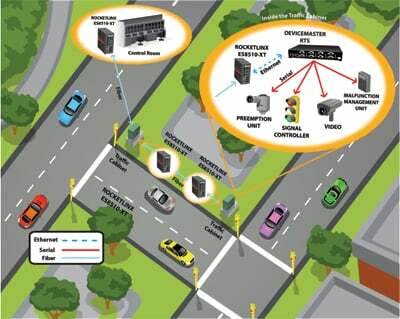 Our customers use DeviceMaster device servers and RocketLinx switches to control and manage intelligent transportation systems (ITS) including traffic management systems, arterial and freeway management, roadside cabinet networking, and intersection management and control. 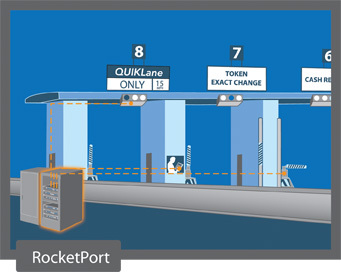 Reliable and easy-to-install, DeviceMaster devicare also cost effective solutions for open road tolling (ORT), electronic toll collection (ETC), toll plazas, and parking automation environments.